The remarkable ancient mummy of a 25 year old woman is back in the Altai Republic today, almost twenty years after she was found in permafrost grave. She recently received worldwide attention for astonishing images of her tattoos, disclosed by The Siberian Times, which scientists say bear striking resemblances to modern body art. The ice also preserved her clothing enabling experts to show her fashion sense, love of make-up and exotic headwear. Known as Princess Ukok, she will be put on public display in a specially-built glass sarcophagus in Gorno-Altaisk, capital of the republic covering the Altai Mountains. Locals hope her tattooed remains – as well as her possessions including an ancient make-up bag – will become a significant tourist attraction at the Republican National Museum in a spectacular mountain region seeking to attract far more Russian and foreign visitors. The return of the ‘Princess’ is the culmination of a 19 year odyssey after Siberian scientists found her remains on the Ukok plateau, and removed them for careful examination and analysis. For almost a year she was taken to Moscow to be treated by embalmers who care for the lifelike remains of Soviet founder Vladimir Lenin. 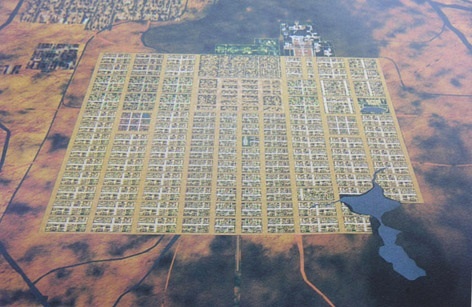 A bitter dispute then broke out between locals in Altai – who insisted she should be returned to her “motherland” – and the scientists in Novosibirsk who were determined to understand every last detail about a woman who lived 500 years before Jesus Christ. Even her final return has been subject to repeated delays but last night it was confirmed she was in Gorno-Altaisk after a helicopter flew the princess on her final journey of 507km from Novosibirsk, Siberia’s largest city. The new tomb built for the Ukok mummy is in a rectangular room, measuring about 50 x 40 metres, covered with a glass top in the shape of a pyramid. 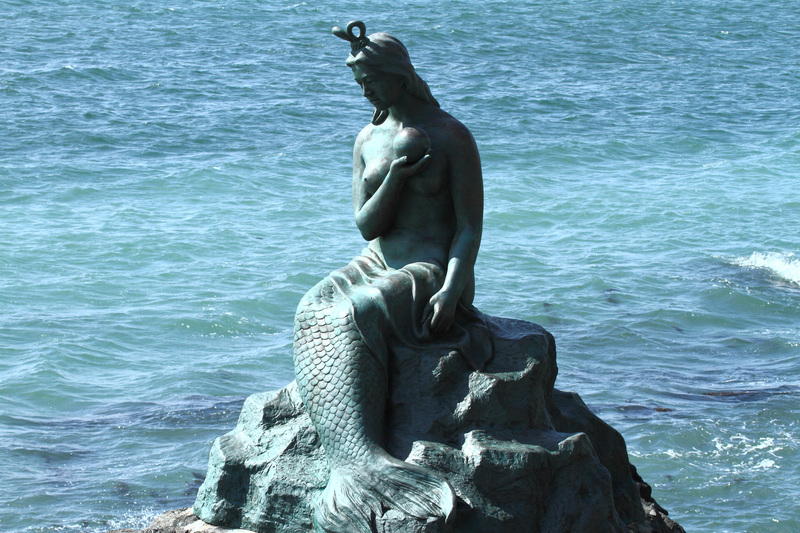 It is part of a $24 million revamping of the museum – funded by Gazprom – to give her body pride of place. The ‘princess’ is from the Pazyryk people. These nomads were described in the 5th century BC by the Greek historian Herodotus – and the colourful body artwork on her body – and those of two warriors found in nearby graves – are seen as the best preserved and most elaborate ancient tattoos anywhere in the world. ‘It is a phenomenal level of tattoo art. Incredible,’ said Dr Natalia Polosmak, who found the remains. 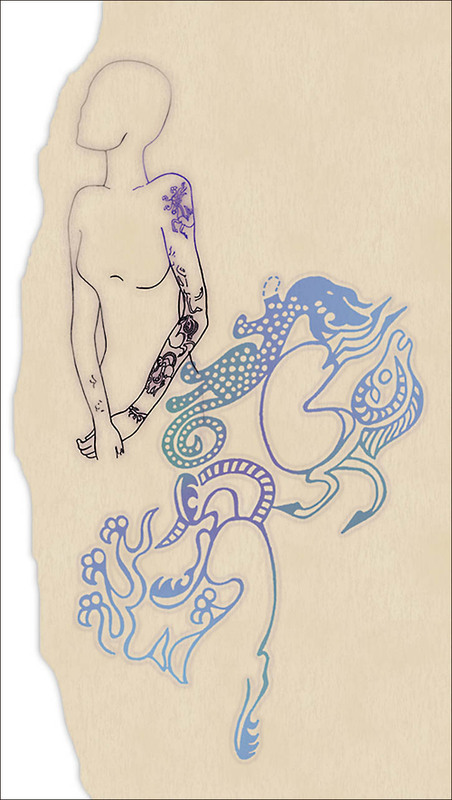 The tattoos on the left shoulder of the ‘princess’ show a fantastical mythological animal: a deer with a griffon’s beak and a Capricorn’s antlers. The antlers are decorated with the heads of griffons. And the same griffon’s head is shown on the back of the animal. The mouth of a spotted panther with a long tail is seen at the legs of a sheep. She also has a deer’s head on her wrist, with big antlers. There is a drawing on the animal’s body on a thumb on her left hand. 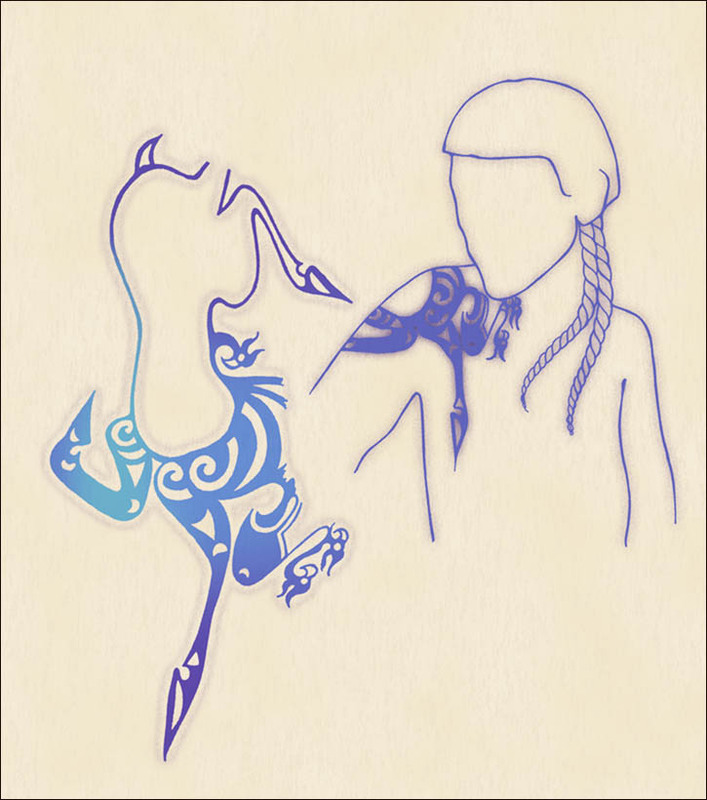 On the man found close to the ‘princess’, the tattoos include the same fantastical creature, this time covering the right side of his body, across his right shoulder and stretching from his chest to his back. 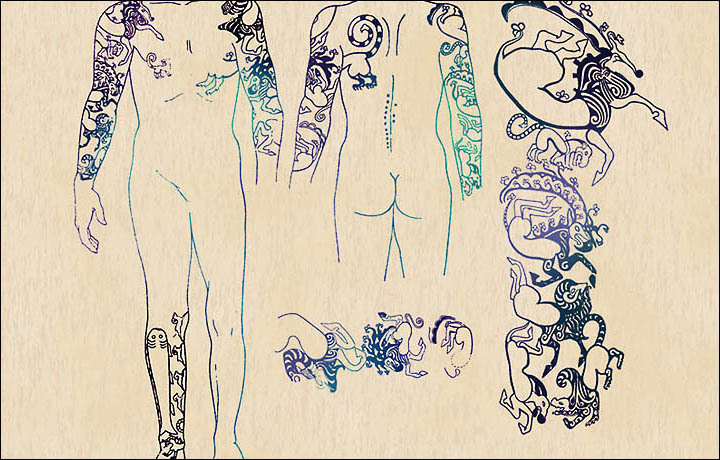 The patterns mirror the tattoos on a much more elaborately covered male body, dug from the ice in 1929, whose highly decorated torso is also reconstructed in our drawing here. His chest, arms, part of the back and the lower leg are covered with tattoos. There is an argali – a mountain sheep – along with the same deer with griffon’s vulture-like beak, with horns and the back of its head which has a griffon’s heads and an onager drawn on it. ‘We can say that most likely there was – and is – one place on the body for everyone to start putting the tattoos on, and it was a left shoulder. I can assume so because all the mummies we found with just one tattoo had it on their left shoulders. ‘And nowadays this is the same place where people try to put the tattoos on, thousands of years on. ‘I think its linked to the body composition… as the left shoulder is the place where it is noticeable most, where it looks the most beautiful. Nothing changes with years, the body stays the same, and the person making a tattoo now is getting closer to his ancestors than he or she may realise. 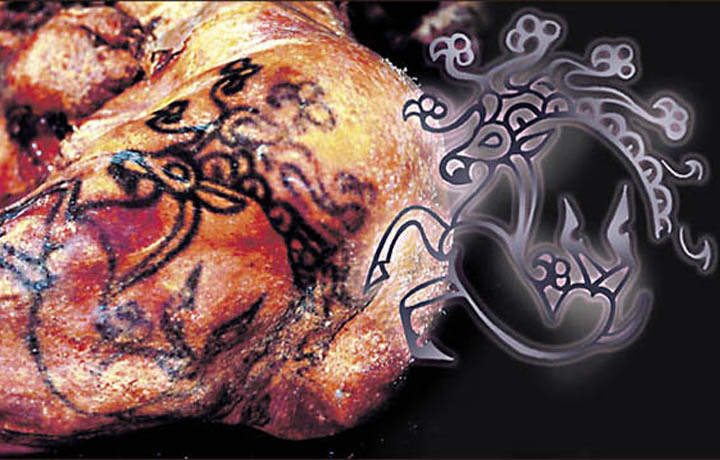 ‘I think we have not moved far from Pazyryks in how the tattoos are made. It is still about a craving to make yourself as beautiful as possible. ‘For example, about the British. A lot of them go on holiday to Greece, and when I’ve been there I heard how Greeks were smiling and saying that a British man’s age can be easily understood by the number of tattoos on his body. 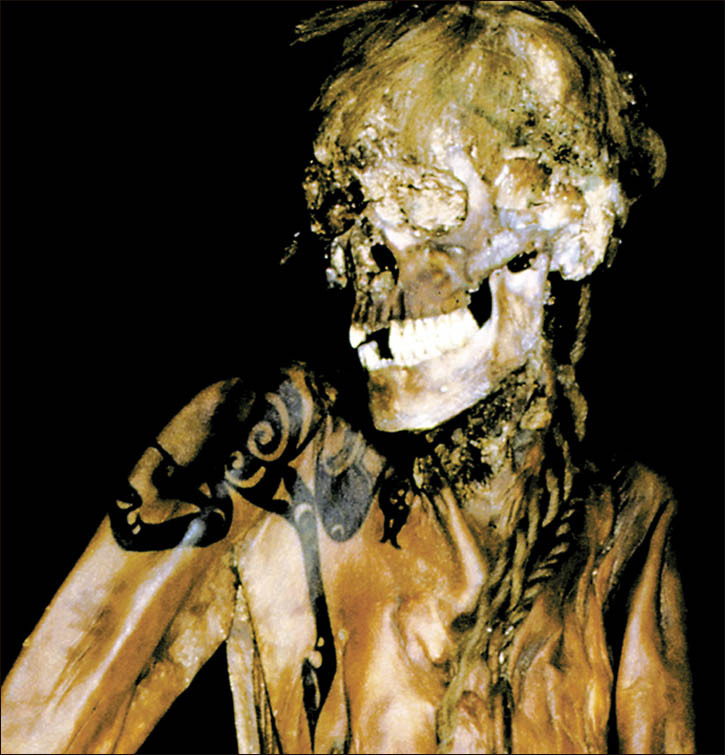 As well as her tattooed corpse, the ice – a natural time capsule – also preserved her elegant clothing enabling a reconstruction to show exactly how she looked some 2,500 years ago. Archeologists even found items from her ‘cosmetics bag’, which lay inside her coffin next to her left hip, notably a face brush made from horse hair, and a fragment of an ‘eyeliner pencil’. This was made from iron rings, inside which was vivianite, giving a deep blue-green colour on the skin. ‘There was also vivianite powder, derived from an iron phosphate mineral, to be applied to the face’. 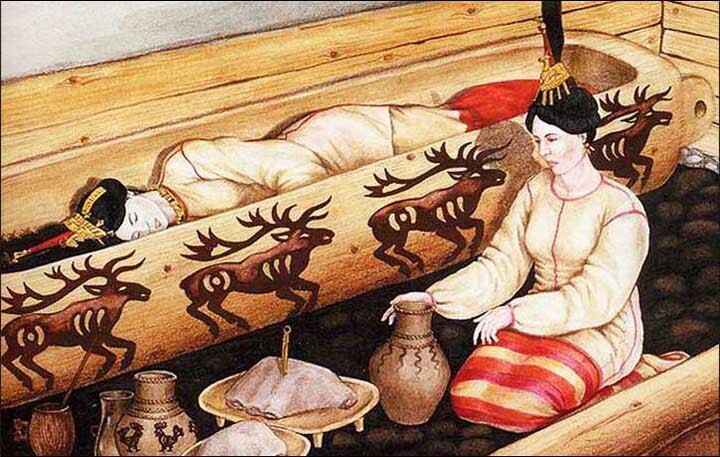 ‘The analysis of her clothing has led to the conclusion that the Pazyryk people – though living in remote southern Siberian – had extraordinarily wide connections as far afield as China, India, Iran and the Mediterranean, picking designs or materials or dyes from different cultures while also establishing their own unique look. ‘The exotic dress of the of the ‘princess’ also ‘proved to be far more unusual and unique than any of our guesses’, said Dr Polosmak. ‘She was dressed in a long and wide woollen skirt, made from three horizontal strips of fabric. ‘The skirt was 144 cm long, 90 cm wide on the top, and 112.5 cm at the base. ‘Each strip of the fabric was coloured separately: the top one was crimson, the middle very slightly pinkish-yellowish, and the third of a very rich Bordeaux colour. ‘All pieces of fabric were manually coloured. The skirt had a woollen braided belt, which could as well change the length of the skirt by holding it either around the waist, or higher, under the breasts’. 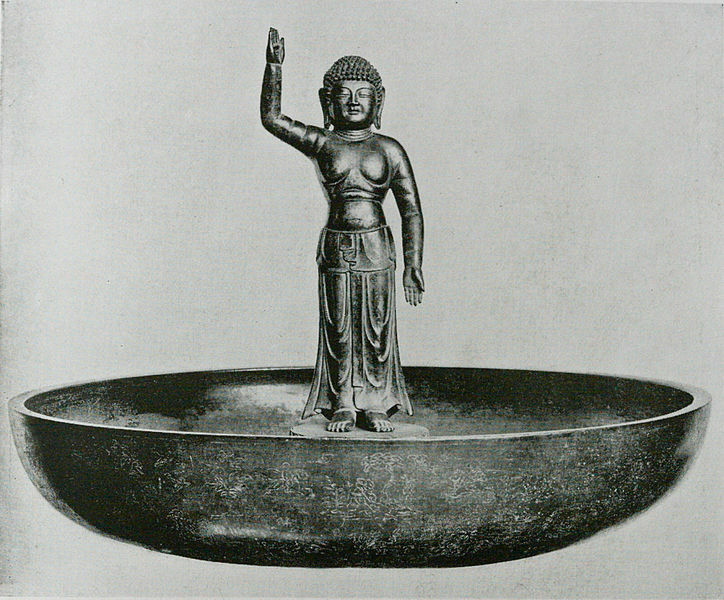 Archeological detective work found that the dyes used in her skirt came from the Eastern Mediterranean or Iran – almost 2,000 miles from the Altai Mountains. 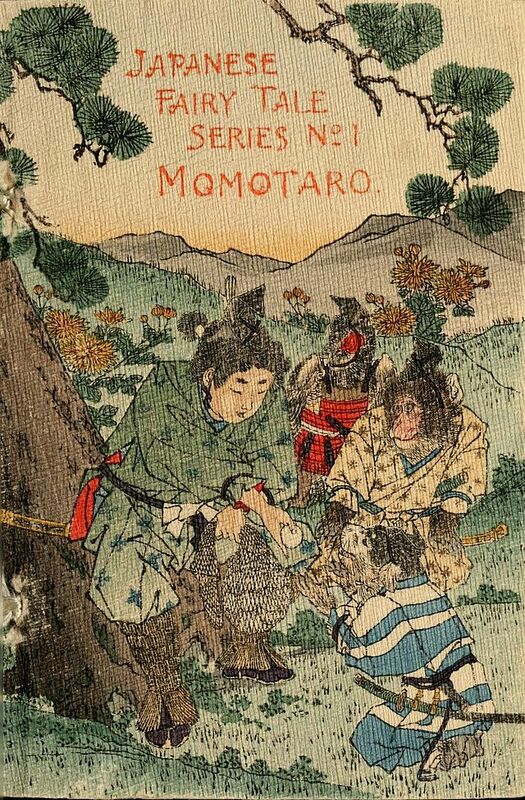 Her fine silk shirts were of a Chinese design. Yet the silks themselves came either from Assam in India or south-eastern Asia. On top she wore a smart and stylish light fur kaftan-style coat. As with male clothing for the period, it had long narrow sleeves, shorter at the front ‘and a tail from behind’ – possibly the world’s first tailcoat. She also wore above-the-knee white felt boots as protection against the fierce cold with temperatures dropping to as low as minus 35C. The Pazyryk clothing included light fabrics not best suited to the cold temperatures in which they lived, suggesting perhaps their looks were more important to them than simply being warm. It also meant running repairs were needed on clothing and other burial mounds on the plateau have yielded examples of darned trousers. The real eye-opener for Dr Polosmak was the high and distinctive head wear. And the linked discovery that the ‘princess’ in fact had a shaved head, with no hair, but instead wore an elaborate wig, that remains intact to this day, enabling detailed study. ‘It was a total surprise to find a wig’, said the professor, from the Institute of Archeology and Ethnogoraphy at the Siberian Branch of the Russian Academy of Sciences. ‘It was put on a shaved head. The base of the wig was a felt ‘hat’, with two layers of women’s hair sown into it. Between the layers was a black flexible substance, which helped to fix and hold the shape and the volume of the wig’. The ‘crowning glory’ of the wig was a giant feather some 68.65 cm long, made from felt and covered with black woollen fabric, with a stick inside it to help it stand straight. ‘This feather had the figures of 15 birds attached to it, which like in modern Russian Matryoshkha dolls with one inside another, were each of smaller size compared to the previous one’, said Dr Polosmak. Some locals had called for Ukok’s remains to be reburied in her own burial chamber high in the mountains, but this will not happen. Perhaps she was a princess who was also a healer/storyteller/holy woman? Seems very hard to believe that such a young woman had done enough to be quite so revered as to have six horses buried with her and such an elaborate tomb. If she was buried this way and is not royal, then the burial mounds of royals/chiefs would be astonishing – a dozen horses, a chariot, servants, etc!